Banks, bond insurers, employee pension systems and others standing to lose big if a federal judge declares Detroit insolvent are expected to legally file their objections to the largest municipal bankruptcy in U.S. history. 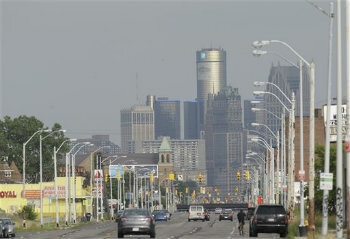 DETROIT (AP) — Banks, bond insurers, employee pension systems and others standing to lose big if a federal judge declares Detroit insolvent are expected to legally file their objections to the largest municipal bankruptcy in U.S. history. Public sector plans are slower to adopt auto features than many private sector plans.